Trading the financial markets using Astrology and esoteric mathematics…..
An excellent article on Nov 30, 2013 in the Economist caught my attention. The article was discussing efforts to maintain a new virtual currency called the BitCoin which started sometime in 2008. BitCoin is a peer-to-peer currency with no central bank, based on digital tokens with no intrinsic value. Rather than relying on confidence in a central authority, it depends instead on a distributed system of trust, based on a transaction ledger which is cryptographically verified and jointly maintained by the currency’s users. Transactions can occur directly between the system’s participants at almost zero cost, without the need for a trusted third party or any other intermediary, and are irreversible once committed to a permanent and fully public record. Bitcoin’s mathematically elegant design ensures that the money supply can increase only at a fixed rate that slows over time and then stops altogether. Anonymity, while not assured, is possible with the right precautions and tools. The mention of the trust factor got me thinking….. Trust implies some degree of human emotion. I then started wondering if any astrological patterns are evident so far in the short history BitCoin. I am still in Malta as I pen this article and this past week I discovered something rather intriguing. There is a Russian group domiciled here (Exante Funds) who have started an investment fund complete with all the requisite approvals from Malta Finance administrators. The minimum investment is 100,000 Euros and the fund will extract a 0.50% management fee each year based on the fund value. But, this is no ordinary fund. This fund is a currency speculation fund – and the currency is the BitCoin. In several recent editions of my subscriber-based Astrology E-Alert I examined the power of planetary declinations on human emotion and the financial markets. Based on this work, I then decided to examine the price history of BitCoin in the context of declination. What I found was very interesting. From this bit of research I can fairly conclude that declinations of Mars, Venus and Sun are affecting human emotion which in turn plays into the trust factor necessary for BitCoin to function. The declination plot embedded herein tells the rest of the story. Looking into the near future, watch the timeframes around the March Equinox (Sun at 0 degrees declination), around late April-late May (Mars declination maxima), and around mid-June to Mid-August (Sun and Venus making declination maxima). I expect the BitCoin story will continue to be a volatile one. I shall be watching BitCoin with great interest. Harmonics – a Valuable Tool for following Crude Oil Futures….. In my recent travels, I found a book at the British Library entitled Quantum Trading by Italian mathematician Fabio Oreste. Oreste claims to have spent many years travelling in the “east” where he became acquainted with various forms of esoteric thought. Oreste solves a problem that has been haunting me for some time. To date, I have been using the Universal Clock approach (developed using the Gann Wheel of 24 and then trademarked by author Jeanne Long) in determining planetary transit lines. With this approach, one must assign some increment of price to the Clock calculations. Taking price increments that are too wide can lead to inaccuracy in the transit lines. Oreste uses a unique harmonics approach that focuses on the 2n and 1/2n harmonics where n=0,1,2,4,8,….. By taking the longitudinal degree of a planet at time x, ( where time x is that of a significant high or low) one can calculate the various harmonics at work. Then at some future time, one can use the longitudinal degree of the planet to determine the harmonics at work. Joining the various points starting from time x will produce a harmonic (transit) line. Oreste calculates the harmonics each week ( or each day for shorter studies), but to keep my sanity intact, I will use fewer data points in charts displayed in my writings. To illustrate, the following chart displays the continuous front month Crude Oil futures price action from mid-2009 to mid-2012. I have calculated various harmonics and sub-harmonics using the Oreste approach. Notice how these harmonics often align to key swing points on Crude Oil pricing. Harmonics are a seriously powerful facet of financial astrology. Harmonics become extremely potent when one sees how Fibonacci retracement levels and Fibonacci extensions often align to harmonic lines. For example, as I will be showing my Astrology E-Alert subscribers in my next edition, Crude Oil pricing is currently closing in on a key Fibonacci level and several harmonic levels are also visible at the same time. My recent research at the British Library has opened my eyes to the power of Jupiter and its declination path. Jupiter has a declination path that takes it from a declination low to a subsequent low in approximately 12 years. Along the way, the declination path exhibits minor vibrations. The following image illustrates Jupiter’s declination from 1904 to 1933. Notice how declination minima, maxima and zero levels generally align to Dow Jones Average peaks, bottoms and in one case an acceleration of trend. Looking at this plot and in particular the 1929 timeframe, I would hazard a guess that W.D. Gann in his day was well aware of declination and likely used it in his market prognostications. The one caveat with Jupiter is that its declination inflections do take time to evolve given the slow moving nature of the planet itself. Knowing that a Jupiter declination event is coming, one will then have to be alert for a couple months or so on either side of the exact event. Along the way, one will also have to watch for declination events of the faster inner planets as well as other planetary aspect events in order to more closely identify the market turning point. to read the remainder of this article, please visit www.investingsuccess.ca. Once there, click on the PUBLICATIONS tab and then look for the drop down menu item called ARCHIVES. My recent research at the British Library has also indicated that planet Jupiter can play a significant role in altering human emotion and generating trend changes on the Dow Jones Average. The following image of Jupiter’s declination path takes into account the time frame from 1900 to 1921. The declination cycle for Jupiter is about 12 years. The time to carve out a maximum or a minimum can take many months due to the slow moving nature of such a large planet as Jupiter. Note also the shape of the declination path. As Jupiter progresses from a minimum to a maximum, its declination is not a smooth trending function line. Rather, it is a wave-like function and if one examines the individual waves, one will see a connection to minor price swings on the Dow. I have overlaid some commentary on the declination plot. Notice how significant turning points on the Dow align very well to declination minima, maxima and 0 degree events. How this all affects human emotion, of course remains a mystery. I have reason to suspect that W.D Gann may have been aware of declination when compiling his market prognostications. Gann had fore-warned that the Autumn of 1929 would be a critical time. In fact, Jupiter was coming into 22 degrees of declination at this time and its maximum declination that it reached subsequently was only 23 degrees. In the meantime, what I recommend is to watch Jupiter’s declination path and allow a few months at maxima and minima for the markets to react. Be sure also to use Jupiter’s declination along with the declination of Mars to more closely identify timeframes for trend changes. (note – as Jupiter was making a maximum declination in the Autumn of 1929, Mars was crossing its 0 degree declination line…). In future posts I will examine various other timeframes of Dow Jones performance against a backdrop of Jupiter declination. I will also examine the effect of Jupiter declination on the price behaviour of Gold, Oil and Agricultural commodities. During my recent visit to the British Library, I came across some valuable material that focused on the declination of planet Mars. In Astrological lore, Mars is associated with aggression and sudden change. When viewed against the backdrop of the Dow Jones Average, it turns out this reputation holds up quite robustly. The reason why changes in the declination of Mars would affect human emotion remains a mystery to me, so the only recommendation I can give is to be alert to those times when Mars is at a maximum, minimum or 0 degree declination point. Watch your charts carefully for evidence of short term trend changes. A typical declination cycle for Mars from maximum to a subsequent maximum will be in the order of 2 years. As Mars makes a maximum or minimum, allow +/- 1 month from the exact inflection point. The following declination plot covers the timeframe 1900 to 1920. I have marked on this plot my comments on price behaviour the Dow Jones Average was exhibiting at maxima, minima and zero degree points. After examining this plot along with the historical plot of the Dow Jones also embedded in this blog, I think you will likely conclude (as I have) that Mars declination is a powerful tool that we should all be using to our advantage. In future posts, I will examine different time frames of the Dow Jones and I will also examine Mars declination as a tool for helping navigate the price action of Oil, Gold and Agricultural commodities. 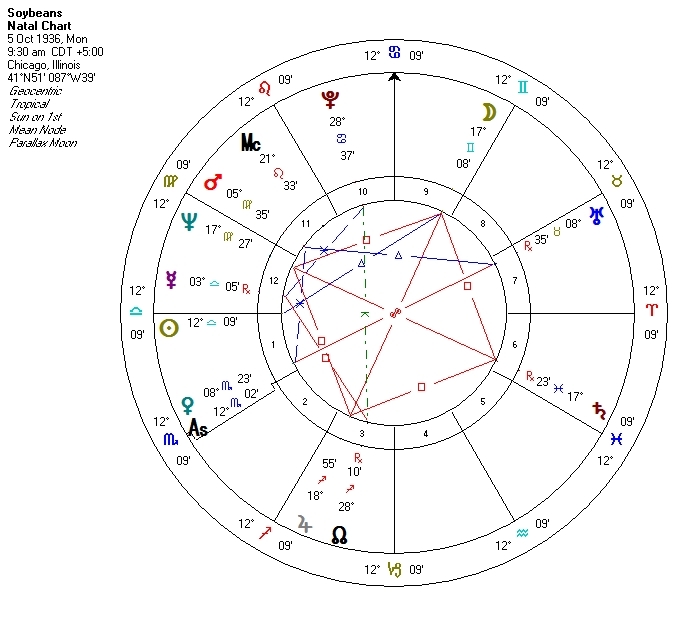 For the past several weeks in the Astrology E-Alert, I have been showing subscribers the connection between the declination of Sun, Mercury, Venus, Mars and pivot swing points on various indices and commodity futures. If one takes a step back and looks at the broader picture of declination, one generally can see that these celestial bodies make lows in declination in the October-November timeframe and maximums in declination in the May-June timeframe. The embedded image in this post illustrates this. There is a long-standing investment strategy that dictates buying in late Autumn and selling in late Spring. Some more crudely call this the “buy when it snows, sell when it goes” strategy. There is no shortage of data to support this strategy. But, what is the root cause of this supportive data? Why does investor sentiment generally turn more positive in late Autumn? Why do markets oftentimes top out in late Spring? Declination could well be the answer. How exactly declination affects the human psyche, I do not know. In fact, I doubt if scientists and psychologists know either. So, the next time someone tells you (for a moment and think about declination…..
Soybeans and Astrology – A Commodity Brokers Introduction…. There are many ways of analysing and navigating one’s way through the Soybean futures market. In addition to chart technicals and fundamental data, it is also worthwhile to apply some basic astrology. Soybean futures started trading on a recognized exchange on Oct 5, 1936. The zodiac wheel embedded in this post illustrates the planetary placements at this “first trade” date. Sun was in Libra. The “ruler” of Libra is Venus according to classical astrologers. Venus is in the sign of Scorpio in the 1936 zodiac wheel. These are the “natal” positions, in astrological parlance. The McWhirter method for applying astrology to the markets dictates that one should be very careful to note the passage of other planets past these natal positions. I explain who McWhirter was in my 2014 Astrology Almanac. There is also a school of thought that says one should be alert to those times when heliocentric Venus changes signs of the zodiac. (I explain the concept of heliocentric astrology in my various books). The price chart embedded in this post illustrates daily price action on a daily-nearest basis going back 1 year in time. I have marked in yellow bars the Venus sign change events. 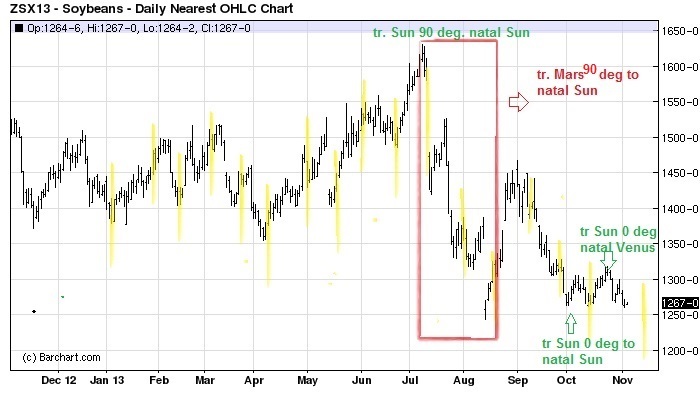 I have also noted on the chart the fact that the July price peak aligns to Sun passing by the “natal” Sun position. The period of price weakness that followed aligns to a transit of Mars past the “natal” Sun position. I trust you will agree that it is more than just a little curious how astrological events align to price swings. What I tend to do in my trading is to make a note of coming astrological events. As the time draws nearer for an astrological event to occur, I begin watching my chart technicals for evidence of a price swing. Looking forward in time, we may experience a tug-of-war in price towards the end of December as Sun and Jupiter both make 90 degree aspects to natal Sun and Mars makes a 0 degree aspect to natal Sun. The next Venus sign change event is November 23. 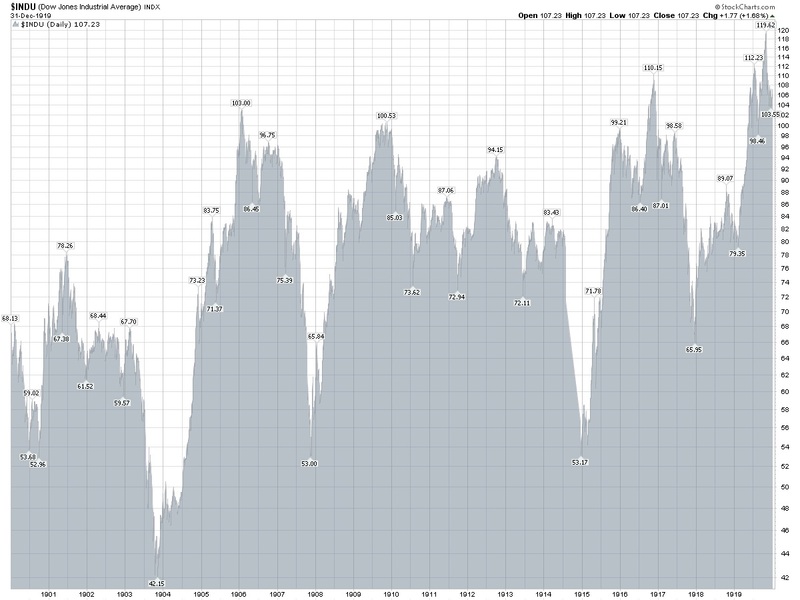 Watch your charts carefully to see how these astrological events align to price swings….